What’s Better Than Sailing in the Sunset with Maestral Wind? What’s Better than Lazy Sailing in the Sunset with Maestral Wind? 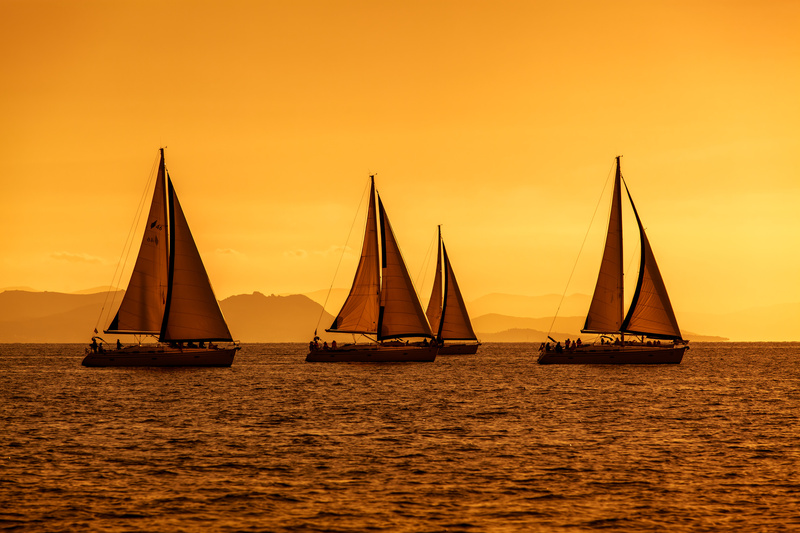 One of the synonyms for sailing in the Croatian Adriatic is the image of huge orange bowl slowly gloaming into the sea far in the horizon while two full sails are following it pulling lazily the yacht into the sunset. 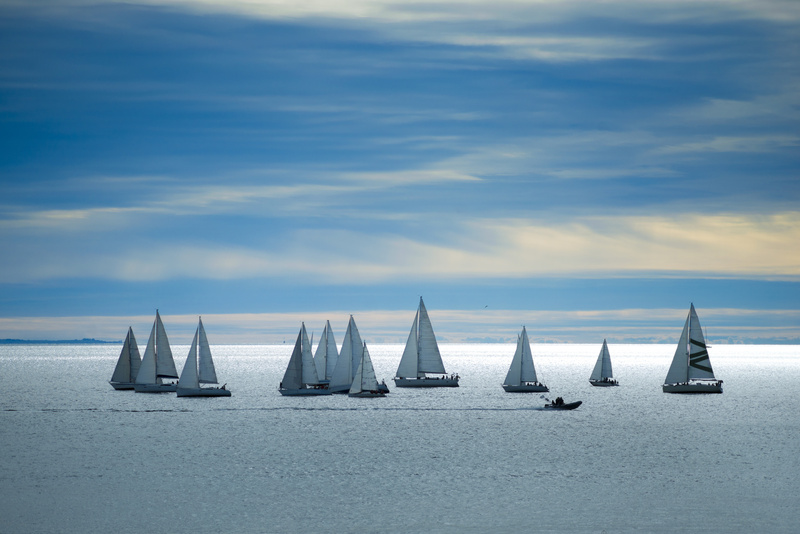 Such images are very often the first to appear in your mind when the word sailing is spoken. The crucial factor that makes such experience possible is the summer breeze called maestral or zmorac in Croatian Adriatic areas. It is a moderate wind that appears some time before noon, reaches its peak between 2 and 3 PM and dies with the sun, in the sunset. It is blowing mostly from NW to WNW with constant intensity. Maestral comes as a daily wind, as a result of a difference of the air temperature above the mainland and above the sea. As the mainland is being warmed up faster than the sea during the summer, the air above the mainland becomes lighter and warmer than one above the sea. Therefore, maestral starts its activity when the critical difference between temperatures is achieved – late forenoon. The ancient Greeks called such situation the etesians. The origin of this word comes from Greek έτος (ètos), meaning annual because they celebrated new year on the summer solstice when etesian winds (meltemi) were well developed and favorable for sailing. However, maestral at the Adriatic and Greek meltemi should not be considered as the same wind. They are only created by the same cause, but their directions and intensities are quite different. Let’s get back to Croatian Adriatic and maestral. Since it is a daily wind and is the sign of stable atmosphere it is highly adored among both sailors and people at the coast because it brings refreshment during hot summer days. Furthermore, maestral does not bring too big waves so it is perfect for sailing until the sunset. 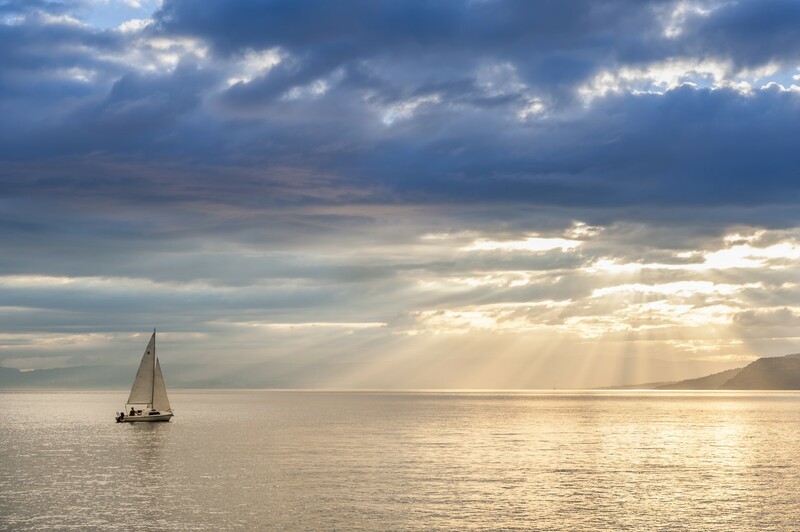 The most romantic sailing photos on the internet are taken under full sails at the sunset. Maestral could also show its temper by blowing faster at the end of the day and sometimes by merging with northerlies. Such variations are caused by the configuration of the landscape, mostly in the straits and narrow bays. 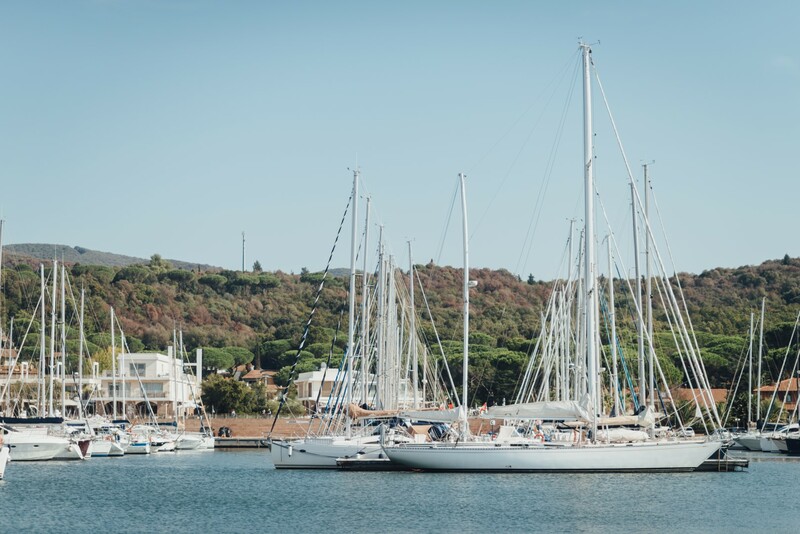 If you are sailing in the area of Otranto strait then you may expect very strong maestral, while the same wind along Italian Adriatic coast has mostly E directions. The counterbalance of maestral would be burin – the night breeze that appears at the dawn; just before the sunrise. It is a breeze blowing mostly from the coast. It is called burin (the small bura) due to similar direction as bura (NE), but a lot slower and more pleasant. Again, burin comes as a result of the difference between the air temperature above the mainland and the sea. During the night the mainland has cooled down faster than the sea and the air above is cooler and heavier than one above the sea. Therefore, just before the sunset, we get refreshment from the inland as a reward for surviving a hot night. You can expect the regular appearance of maestral in late June, during July and August, while its appearance would become less regular by the beginning and the mid-September. If you notice a lack of maestral on a summer day, you may expect a change of weather so better take a look at the latest weather forecast and get ready on time.